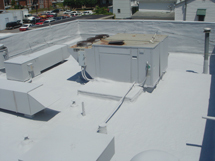 The owners challenged FoamCoat to overcome years of neglect and abuse, to eliminate leaking problems and provide a long-term, serviceable roof. 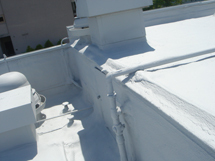 Some roofs are in more need of help than others and this roof had multiple problems. 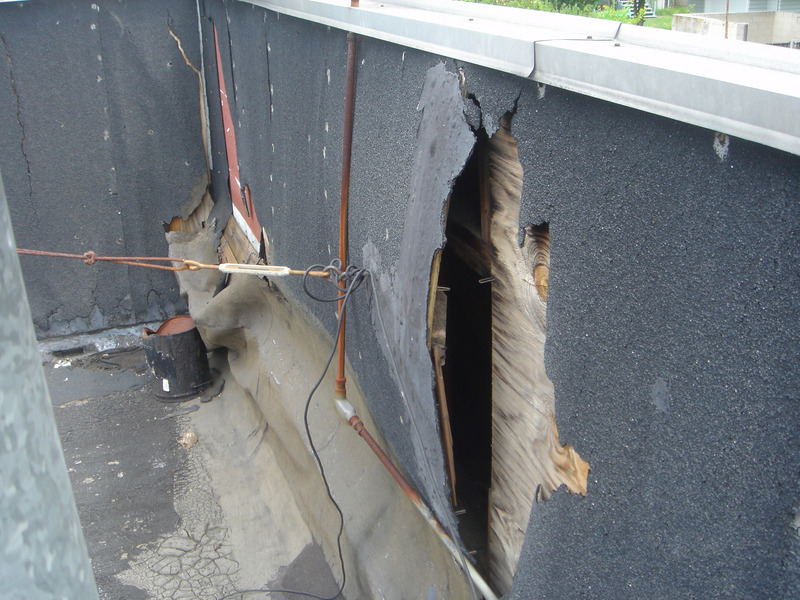 It had damage to walls surrounding the roof, was leaking profusely and had three separate sections – each with different roofing materials and past patching efforts. The first requirement was to get rid of buckets, brushes and other roof-patching momentos of past efforts. Then the work could begin. Prep work was fairly extensive with repair and replacement of the damaged walls with new plywood and other needed materials, removal of gravel and other prep required to allow application of foam. 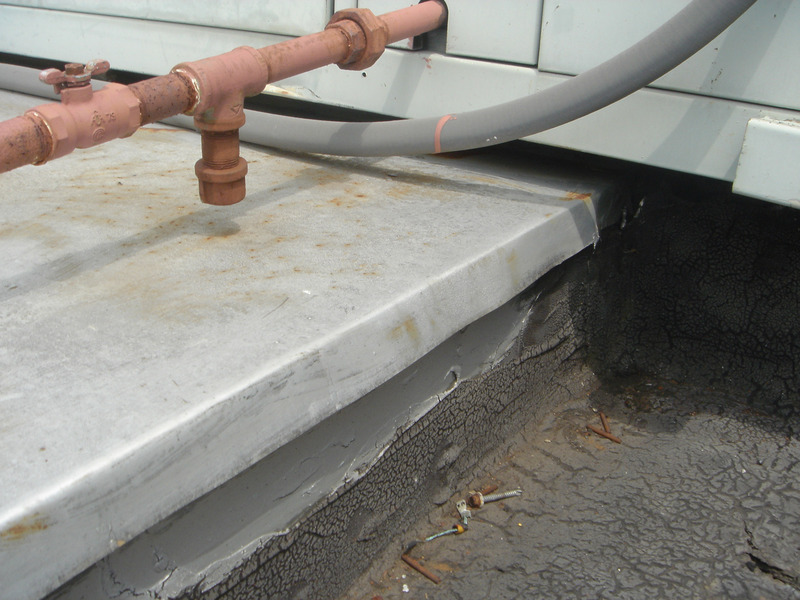 Application of 1” to 1.5” of SPF over parapets, walls and roof, sealing around the many protrusions and improving drainage of “ponding” areas. Neogard silicone coating, with a dark base coat and lighter colored top coat application. The customer is pleased as the roof has been made tight and waterproof and past leaking has been eliminated. Damaged walls and other deficiencies have been corrected and protected from further deterioration without expensive replacement of the walls. They are now protected against further exposure and deterioration. 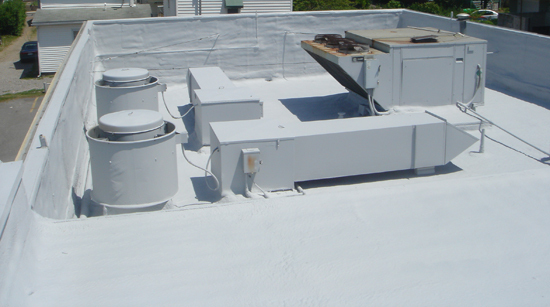 The appearance has been dramatically changed and the roof is now both attractive and serviceable.